LONDON, 16 July (BWNS) – British Prime Minister Gordon Brown met this week with members of the U.K. Baha'i community and underlined his government's concern over the seven Baha'i leaders being detained in Iran. 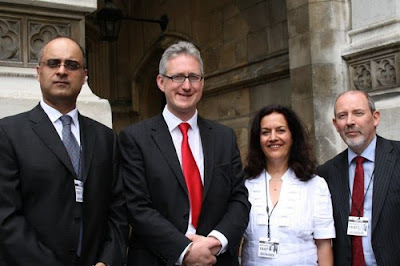 Mr. Lembit Opik, chair of the All-Party Parliamentary Friends of the Baha'is group, accompanied three Baha'i representatives to the meeting, held yesterday at the prime minister's office in the Houses of Parliament. One of the Baha'is, Mrs. Bahar Tahzib – originally from Iran but now living in England – shared with Mr. Brown her first-hand experience of religious persecution. Her father was executed in Iran in June 1980 for being a Baha'i, and her uncle, Mr. Jamaloddin Khanjani, is one the seven Baha'i leaders arrested in the spring of 2008 and jailed since then in Evin prison in Tehran. Charges against the seven have been reported in government-controlled mass media as "espionage for Israel, insulting religious sanctities, and propaganda against the Islamic republic" – accusations the Baha'i International Community categorically denies. No formal charges have been filed, however, and the seven Baha'is have had no access to attorneys. Families of the prisoners had been informed that there would be a trial this past week, but now the families reportedly have been told there is a delay. No new trial date has been given. "I was very touched by the prime minister's genuine expressions of sympathy and concern," Mrs. Tahzib said after yesterday's meeting with Mr. Brown. The other Baha'is who met with Prime Minister Brown were Dr. Kishan Manocha, secretary of the National Spiritual Assembly of the Baha'is of the United Kingdom, and Mr. Barney Leith, director of diplomatic relations for the U.K. Baha'i community. 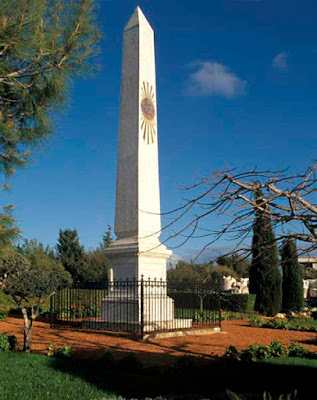 Baha'is should serve the people of the Holy Land by teaching Baha'i faith? I love Baha'i faith and wish to teach it in every corner of the world including Israel.